AABSyS Information Technology Private Limited, leading GIS, CAD and software outsourcing services company in India, recently participated in the ESRI Electric and Gas GIS Conference, 2014 at Memphis, USA. AABSyS Information Technology, a leading GIS, CAD, software and IT outsourcing company in India, attended the 23rd annual ESRI Electric and Gas Conference in Memphis, USA. AABSyS has been a regular attendee of the 23rd annual ESRI Electric and Gas conference. AABSyS is a heavy user of ESRI technologies and a leading name in the utility industry. The utility industry relies heavily on the use of geographic information system and remote sensing technologies to fulfil the demands of urbanization. AABSyS utilises these technologies to aid the industry in making informed and judicious decision by ensuring better use of time and resources. AABSyS digitises telecom network, gas network, electricity network and underground fibre lines for leading utility majors across the globe. The conference was a great source of knowledge as it exhibited latest maps, apps, and solutions for utility industry. The event also featured discussion on secure funding, upgrading infrastructure, and ways to drive marketing. The 23rd annual ESRI Electric and Gas conference was attended by more than 500 delegates and more than 50 exhibitors who showcased latest products and services. The event was hosted by Memphis, Light, Gas and Water, the nation’s largest three-service municipal utility. The conference was a great medium to discuss vast topic ranging from getting ready for emergencies and outages by taking maps to the field and sending data to the cloud to how to approach new government regulations with knowledge-driven analysis. It also delved into various services that can support organised development of infrastructure. AABSyS is leading GIS and Remote sensing services provider to many utility majors in Europe and USA. The company has a vast experience in assisting the major utility companies at various levels. The conference was a great opportunity for AABSyS to network with peers and explore new opportunities and prospective engagements from the Utility Industry. AABSyS was represented in the conference by Mr. Ajay Ahuja. 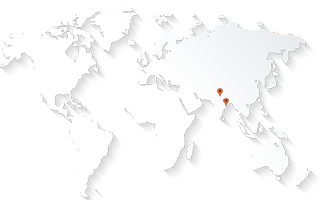 AABSyS is a leading outsourcing company that provides GIS, CAD and software services to our customers worldwide. The company brings together optimized resources, talented personnel, and 17 years of experience to meet a variety of customer needs in geospatial and IT services. The company has a state-of-the-art infrastructure and world class facility at Infocity, Bhubaneswar with its global sales office located at Noida, Delhi NCR region. Since 1998, AABSyS maintains a successful track record of working with an impressive set of national and international companies.